Cucumber vodka is vodka infused with cucumbers and is beyond easy to make. Chopped cucumber, vodka, and a bit of time for the flavor to blend is all it takes. 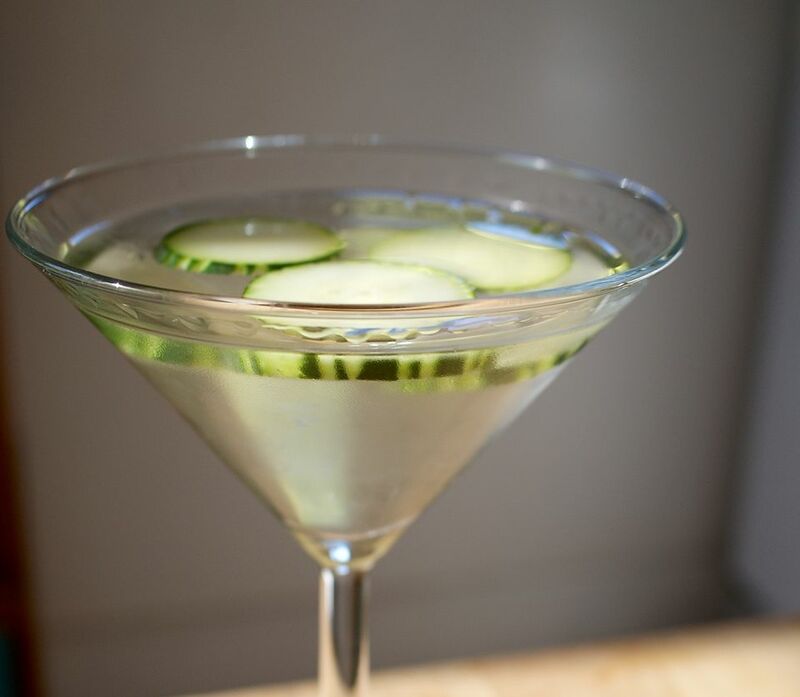 Once you've made it, cucumber vodka is perfect for creating cool and easy summer cocktails. Serve it all on its own over ice, pour it on ice with a splash of soda and a cucumber slice, or use it to make a cooling cucumber martini. Trim off and discard the ends of the cucumber and peel off the skin. Cut the cucumber in half lengthwise. Use a small spoon to scoop out and discard the watery seeds in the center. Don't skip the peeling or seeding steps; both the peel and seeds have a bitterness to them that will transfer quickly to the vodka and distract from the delicate cucumber flavor that can be extracted and enjoyed. Roughly chop or slice the peeled and seeded cucumber. Put the chopped cucumber in a large glass container with a tight-fitting lid. Pour the vodka over the cucumber. Seal the jar and let sit in a cool, dark space for at least three days and up to two weeks (any longer and the vodka will take on a slightly bitter taste). Strain the vodka back into its original bottle or another clean bottle. Discard or eat what can now be considered the "pickled" cucumber whose flavor was infused into the vodka. Are You Ready to Make Your Own Green Tea Vodka?